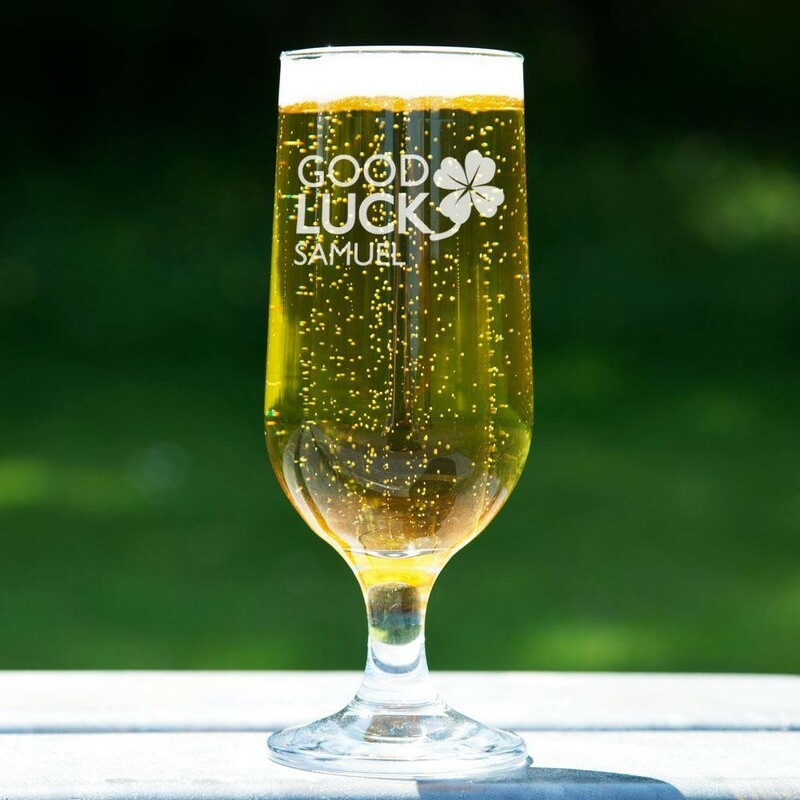 Sometimes you need the luck of the Irish, and our cute engraved glass beer chalice will get anyone through the new job, exams or new adventures! 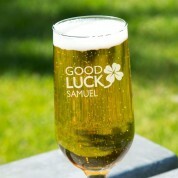 Engraved with 'good luck' big and bold with the classic four leaf clover, the fortunate recipients name is inscribed underneath for a really lucky charm. 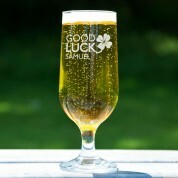 The glass is delivered in a silk lined gift box ready to be presented to the recipient.